Original owner has maintained and pampered this beauty like a baby since riding away from the dealer! Totally stock and original, smooth as silk with new front fork seals, suuuuper fast!, and absolutely totally perrrrrrfect!!!! This is truly a rare and classic gem! 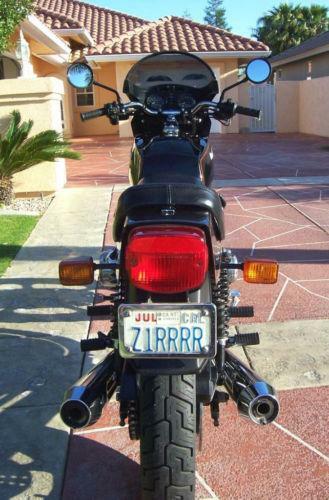 The Z1 was never what you might call a rare motorcycle. It is, after all, a mass produced Japanese bike from an era when fewer models were being cranked out over longer periods of time. Even so, the Z1R stands out as being the best of a very significant model run, and as such can stand tall amongst bikes built in far fewer numbers. Parts are still readily available and there are some devoted fans and forums to be drawn on as resources for restoration or repair. This bike is looking for its next loving home. The seller has posted it with a BIN of $10,000. 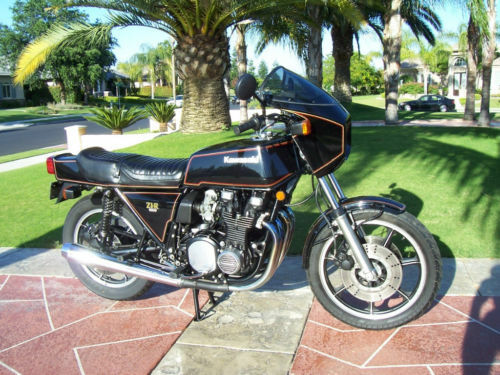 That is a LOT of money for a high mileage bike like this, but you only ever get one chance at a one owner bike. For more info and details, click on the link and jump over to the auction. And don’t forget to tell ’em you found it on CSBFS! 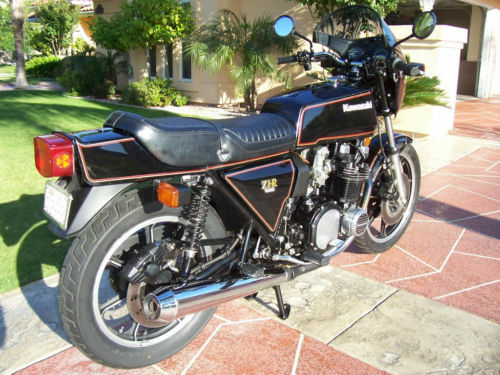 If I might be so bold as to correct you,,, The ’72 Z-1 was a 900 (903 cc). The 1000 (1015cc) came out in ’77 and there were also 900s in ’77. 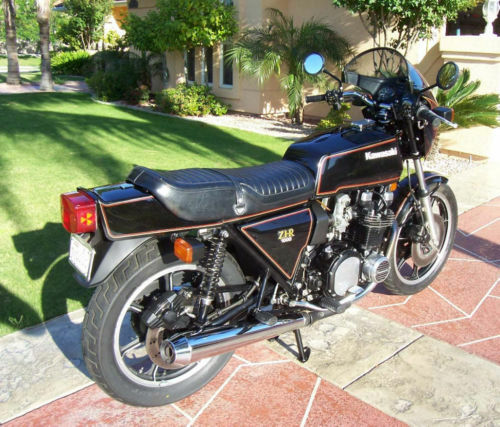 I had a ’77 1000 LTD. It had the white Windjammer and matching Califilia (??) panniers. What a blast! Roaring down the interstates at 90 or so and all the traffic parted for you! I guess a few probably got pissed, when some guy with a ponytail blew by and not a stater! I’ll warn you though, that bike and a ’79 Goldwing I had, were notorious for the tank slappers. I just about sh*t my pants the first time I experienced one. I was racing a Camaro into a corner approaching the ton. Probably the worst one I ever had due to the cornering! Once you’ve had ’em a few times, you know what to expect. I’d just run the old Goldwing hard thru the shaky spot from about an indicated 104 and it would smooth out real sweetly before 110! Anyways, dems da’ facts and I’m stickin’ to ’em!! Peace and Blessings from seattle! I thought I had subscibed to your letter before. Don’t know what happened! I subscribe to RFB4S. What I know about Bimotas, 90s 2-stroke racers and Ducatis, I could write on the head with a crayon! Some fun pictures of some cool bikes, and I am Learning! But know that I have subscribed to your fine letter I am where my real passion is and where I belong! Thanks Brother! I’m looking forward to receiving your letter!